by December 8th. AA/Equal Opportunity Employer. 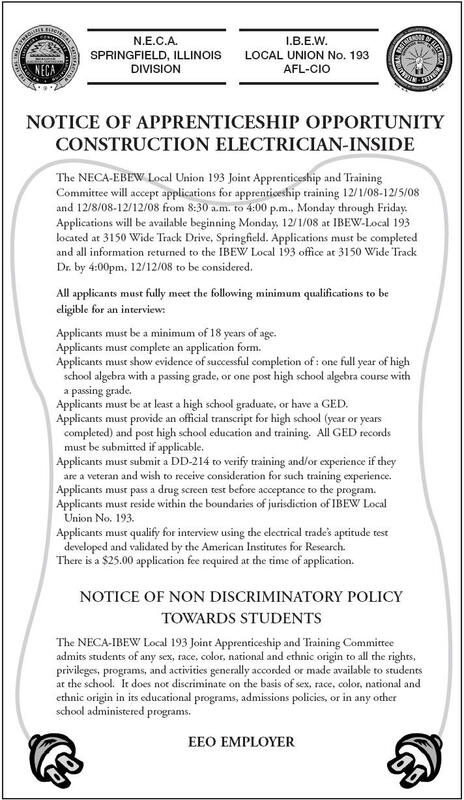 Retirees and Minorities encouraged to apply. Foster Grandparents needed: Active, fun-loving Logan County Seniors aged 60 and over needed to volunteer in local schools, daycares and Community Action Head Start. 20-40 hours each week. Flexible schedules available. Must be patient and love kids. Must have desire to help children with reading, math and more. Earn up to a $400 tax-free stipend monthly. Call Community Action at 217-732-2159 ext 237 for application and more information. Make a difference to the children in your community. Community Action, 1800 Fifth Street, Lincoln or at www.capcil.org. RN and LPN: full time positions available. Day, evening and weekend positions. Sign on bonus. Apply in person at Maple Ridge, 2202 N Kickapoo St., Lincoln.